I have tried searching on this part of the forum for this but i cannot find a topic with concentrated information regarding this. As a new owner of an FD, i am wondering how this car should be tuned in order to stand and survive track use. What would a good list of mods be, starting with the more important ones? Obviously this will differ from person to person but i think a general rule of thumb would exist. 4) Seating - Choosing a nice, firm setup that will help to connect more with the car and its handling. I imagine the list above as the very basic for someone who wants to track his FD. Calling to owners who have more experience than me. Anyone could provide some information based on your previous experience? Howards thread on chassis set up is a pretty good place to start. Some of the other things you mentioned you'll have to find individual threads on. Are you competing or just laps? If competing, rules will likely dictate tire choice. If doing track days and tenths of a second don't matter much, you could go with a good Extreme Performance tire like RE71R, Dunlop ZII StarSpec, Hankook RS3/RS4, etc. I run Carbotech XP10, pretty happy with them. Easy on rotors, dust and noise aren't too terrible, and I've never had any issues with them overheating. I have these carbon fiber backing plate/duct thingies on my fronts, no other ducting. If you're on good pads you should be fine without any. 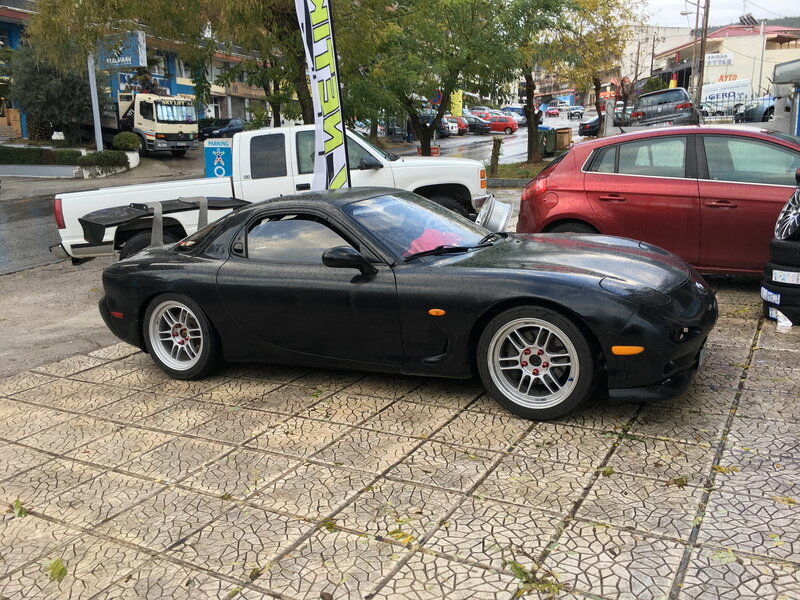 Coilovers will definitely improve trackability of the car, but don't get ***** coilovers... Might hold off on LSD as the factory Torsen might suffice. Depending on power level, probably not necessary. A lot depends on whether you want to track for fun or want to be competitive and as fast as possible. 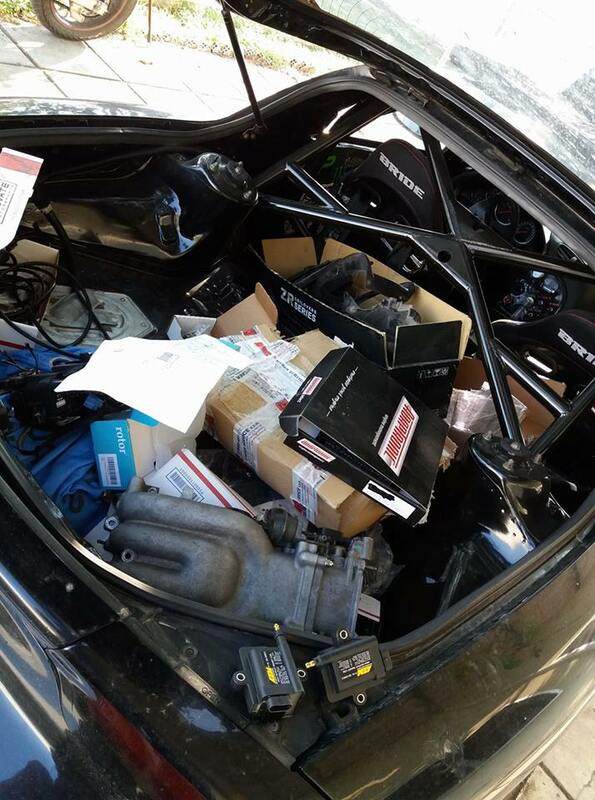 I tracked a 100% stock FD for three years and my observation is the only modifications you absolutely have to do is cooling and brake pads and mandatory on that list is getting dual oil coolers. Close second after that is you should upgrade your radiator and SMIC and install a downpipe followed by upgraded brake pads. Everything else is not necessary unless you are racing. Of course you will be giving a lot of point-bys, but it doesn't necessarily matter how fast you are to learn how to drive on a track. In fact, it's probably better to be a little slower if you are a novice. After cooling, I would focus on your suspension. Read Howard's thread. Last is HP, but when you start increasing this, it throws everything out of whack. You need to design your entire car around your HP goals. I am currently pushing 300 rwhp and think that to 400 is the sweet spot for road racing. When you start going faster, you will find stock wheel sizes are inadequate which means bigger wheels and when you get bigger wheels, you will probably find the stock brakes are inadequate (so far, mine are ok). Then you will find the stock seats don't hold you in. Then you will need a roll bar for the race belts. The drivetrain will also get stressed from the added HP you are running through it. You may need a transmission and differential coolers and two disk clutches. And before you know it, you will have a full on race car that can't be driven on the street. If headroom is an issue, I recommend cutting out the rear seat mounts and fabricating a simple fixed mount bracket for a bottom-mount seat. That's the lowest you can possibly get. Sparco's steel tube seats are actually the lowest because the bottom of the seat is made out of a pad suspended on vinyl straps. Their hold leaves somewhat to be desired, but they're very comfortable. Fritz has some great info in his build/video thread. Look in the build threads of others in the 3rd Gen section to see similar experiences. Is your car stock? What trim is it? I'd call those the bare minimum to get going on track. As pointed out previously any good sticky street tire in an appropriate size for your wheels will work well. If you can fit with a helmet and the stock seat, then use that for the time being as it's hard to get a good aftermarket seat to fit. Thanks for the input guys, really appreciated. Work has been crazy and i hadn't had time to go through them in quiet all these days. The car is a track-prepped FD, fully stripped and fully caged. The car comes from a friend, the motor is healthy, bridge ported, single turbo and at the moment is making 360whp. It has custom bigger radiator and a FMIC. The car is now fitted with some Bride reclining bucket seats, Low Max i think. Suspension is a Bilstein with yellow springs , which will have to be replaced as soon as possible, brakes are stock and the same applies for the stock 16'' wheels. Generally i know where about i am going but your input has helped bringing some aspects like the oil coolers in my attention. I had a track spec S2000 which i sold a few months ago, i work at Spa Francorchamps and Nurburgring and i think that the driving skill is enough to make the car work hard work. The car is mostly going to be driven in those two tracks and apart from very hot days which are not that often around here, the norm is cool temperatures. I also have my Voltex replica wing from the S2000 which i kept and i would like to adapt to the FD. Budget is not endless, as i am still waiting to drive the car a bit first and see what it will ask for. Based on the above and your guys knowledge, how would you go about improving this platform? If you're going to track the ring and Spa first thing to do is Cooling and brakes. Go Vmount and put twin oil coolers on it. Tires and brakes would be 17" 255/40-17 and some Porsche brakes or ap racing. If you bump up the power you will need water injection. Custom valved Bilsteins can be quite good and without knowing what the spring rate of the "yellow springs" are I would at least drive it once before changing them out to make sure you actually need to upgrade suspension. Sometimes a front mount can cause heat issues since it is heating up the air before it reaches the oil cooler(s) and radiator. As someone else suggested the best setup would be a vmount and then also running water or water/meth mix is highly suggested by almost everyone making 350+ on this forum. What is the engine management currently on the car? I don't know what seats specifically fit in an FD but there have been some really good deals on seats coming out of Ireland and England lately. Check out DemonTweaks and MurrayMotorsport for seat selections. I recently ordered an OMP WRC-R seat and brackets from MurrayMotorsport and it was around $500 including shipping which is an insane deal on seats compared to the other options in the U.S. They also carry Sparco seats. I second the suggestion of Carbotech brake pads as we have run these on my cousin's Honda Prelude (don't worry I'm currently trying to find an FC to build and race instead of a Honda...) during 12 and 14 hour endurance races and they never faded while pushing hard lap after lap and still had quite a bit of meat left after being abused for hundreds of laps. Brake rotors kept up nicely as well and they were just cheap blanks from the auto parts store. Although, the engineers who started Carbotech broke off because of some business politics reasons and they started their own company called G-Loc and they use the same compounds as Carbotech. Last edited by Lavitzlegend; 05-09-17 at 09:30 AM. 1) I ran stock brakes with a variety of aftermarket rotors and pads, you will need larger brakes to manage the heat dissipation with the power you are seeking. 2) Bigger brakes usually requires bigger rims, I run 18x10.5 rims and 285/30/18 tires. 3) The OEM transmission is good to about 350 RWHP, beyond that I started loosing third gear regularly. Four transmission changes in one calendar year of racing. I now run a 4-speed G-Force dog-box transmission. 4) You may be able to help here by installing a pump and oil cooler for the transmission. I would also fab up a heat shield between the exhaust system and the transmission. 5) I would fab up an oil pump and cooler for the differential. It doesn't need to be too big. 6) I would install a oil catch can system as described by Damien. 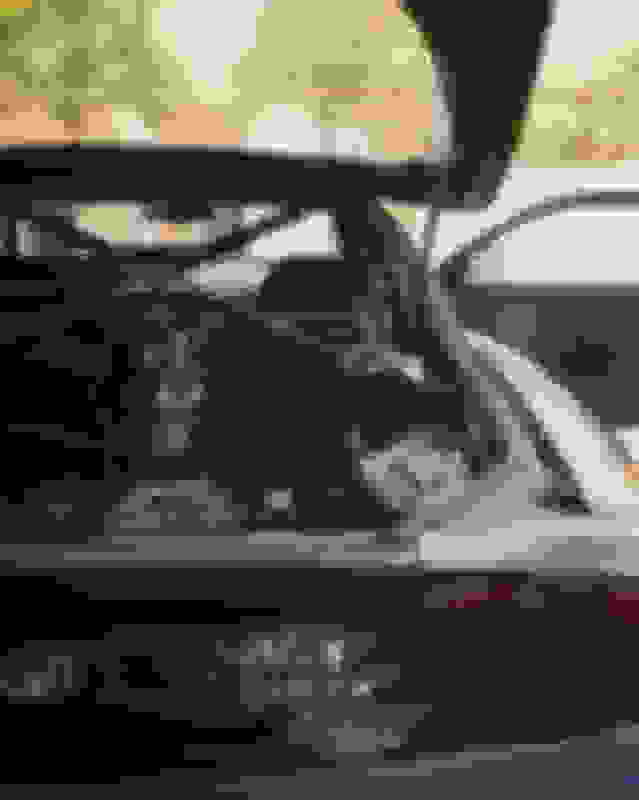 7) I would think about a Lexan windshield, I broke many glass ones before switching. Ok, it starts making sense now. Apparently all the European models have dual intercoolers to start with, so this is one thing less to worry about. At least i can start with those and if the readings on the gauges say differently i can then start thinking of upgrading. Lavitz, the car is now running on an Apexi Power FC but i have already bought an Adaptronic from a member on here. So this is going to be changed soon. As for the suspension, i will for sure give it a run or two like this before upgrading but since these are pretty basic shocks i am pretty sure they won't be up for the task. So for some time now i have switched from XP10s to Carbon Lorraine brake pads which i used lately on my S2K. Same performance as Carbotechs, easy to source but also pricey. Pads and rotors are going to be changed as i want to know exactly how much tear and wear the car has, so i am still calculating costs and debating if it would be worth it to look for a BBK instead of putting everything new just to see it is not performing and then having to go through the same expenses again. If you ever decide on visiting either Ring or Spa, i will be more than happy to help out in organising your trip and allocating your $$$ as best as possible. Do you have data like, how much time of full attack these can handle before starting to overheat? Also, what is causing the 3rd gear miss? Sounds strange enough to be related with the power increase. From what i understand you are talking about proper racing so that means that there is no mercy (like cooling down lap) before the end of your sessions. Sounds about as hard of a beating as a car could handle, so your inputs can be very helpful for extreme cases. Do you guys think i should try with the 16s''? They seem to small for the power that car will make. On the S2K i was running, 18 x 10.5 and 18 x 10 with 285 and 265 with just 285hp. Without saying that this was absolutely correct, i have found that the more rubber i could fit, the better the overall handling and grip was. For track use, would you recommend 17 or 18? Love the car! Wish I could flog that thing around the ring... Shooting flames at all the Porsche's and BMW's lol. After racing some endurance events I have become convinced the driver and how they shift plays a very large factor in transmission life. We have made stock FWD transmissions last 24 hours straight as long as you slow down your shifts and let the synchros have just a split second more time to get everything matched up before slamming it into gear. Also, avoiding any curbing helps the transmission quite a lot as well so you are not sending shock loading/unloading through the gears. 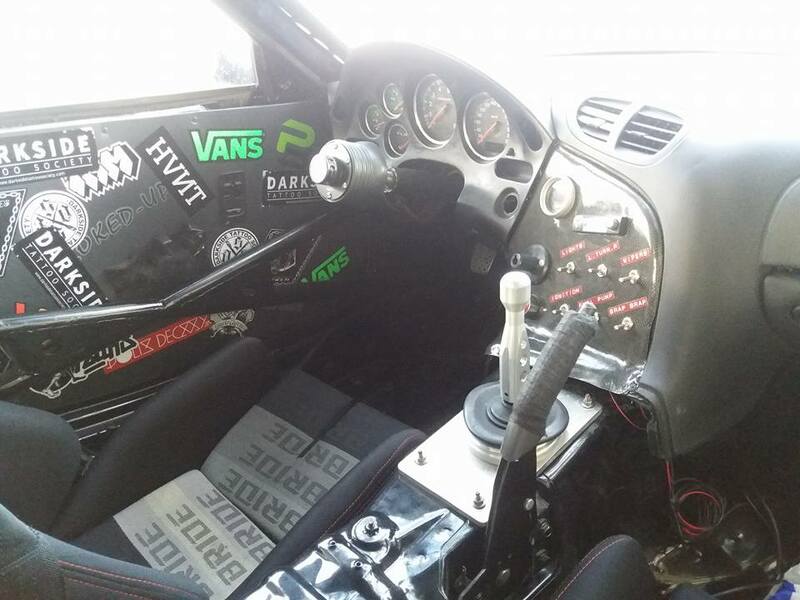 I wasn't aware of any transmission issues on the FD at 350+ HP levels but then again I have not raced an FD at those power levels. Adding a pump and cooler is never a bad idea. I personally like 17" wheels for looks and the tire choices available. Getting tires for 18's isn't difficult either. You should decide what BBK you are going to go with and choose wheel size based on that. The torque spreads the transmission case, reduces the gear mesh and strips the teeth off 3rd gear. I have done this with as little as 400rwhp in my 2500lb RX-7. If you liked lots of wheel and tire on the S2000 you will love it on the FD as well. I run 18x11 +45 with 295/30-18 Ventus TD front and back on stock body FD (rolled fenders). I used a 14" Wilwood front BBK. Something with a thicker rotor and thicker pad might be even better, but will cost more. Check out SakeBombs offerings (Wilwood and AP). The 3rd gear blowing up isn't the syncros. It happens at the top side around 7k rpms or close to the max torque range. It's a combo of heat and torque. The faster the driver the more heat and when that's combined with 400 HP boom goes the trans. I've lost 4 but currently have a trans cooler and OS giken gear set that has the upgraded gears and shaft. I believe the the shaft is flexing along with the case expanding and boom. 3rd gear is right in the middle so it makes sense. The biggest thing you have to worry about is how hard the driver pushes the car. A very experience driver is going to really need all kinds of upgrades. You have to build the car around the driver. Cars like the one Finger lock/Guy has developed can be driven by a pro and keep going and I wouldn't be surprised if he has 50k invested in it. 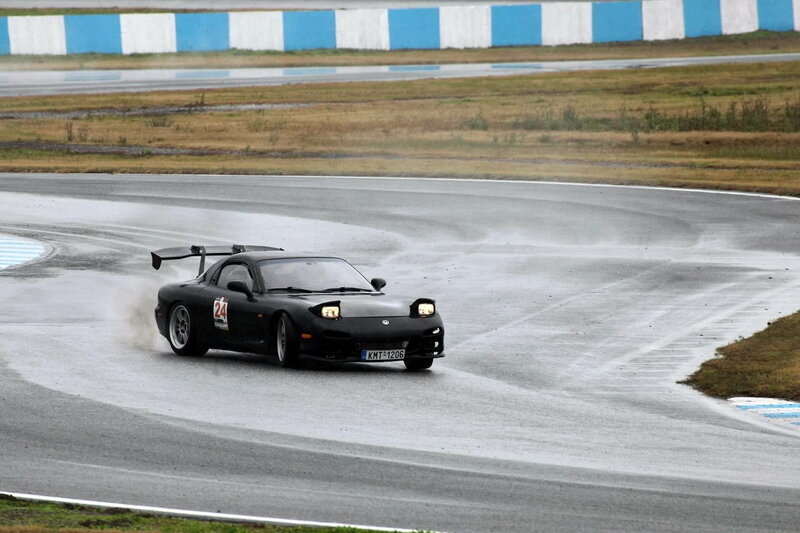 That may be overkill if you have never driven an FD at speed. 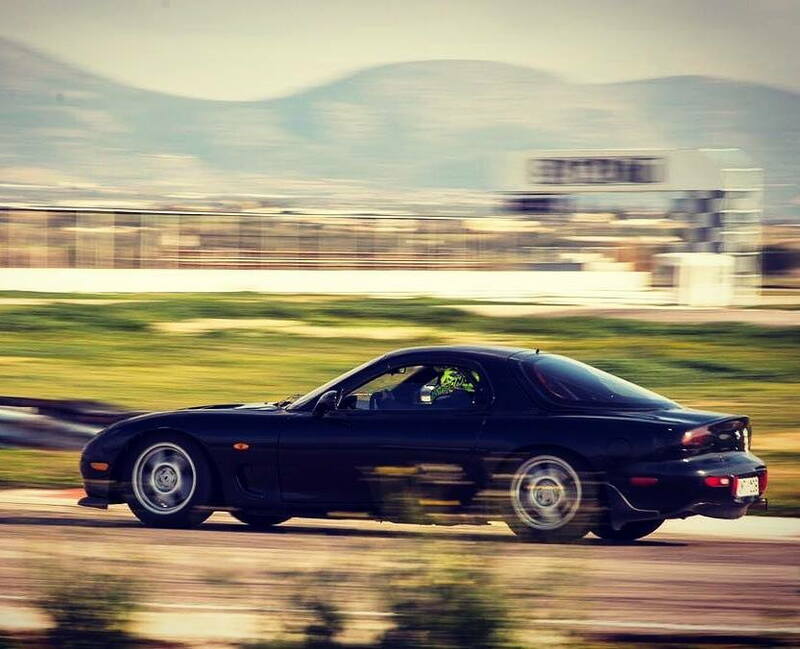 Driving a spec miata and getting the most out of it is a joke compared to driving a 350HP 2600 pound FD. 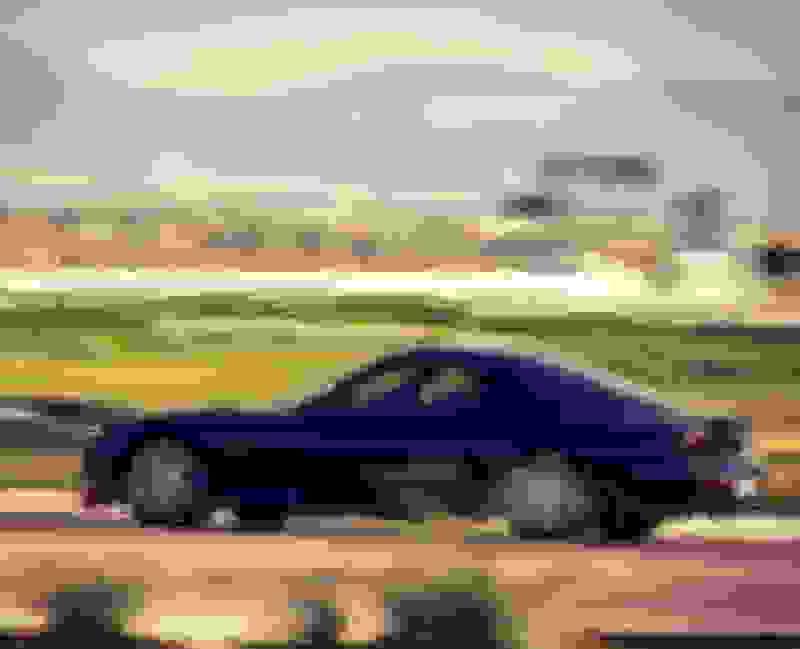 You could write on book on what the FD needs to become a reliable race car and as mentioned above it's going to take a decent size budget because the chassis is extremely capable. Last edited by Fritz Flynn; 05-10-17 at 01:26 PM. At the same time, some stuff regarding ignition, ecu, sensors etc are being updated with the same principle. To know that everything is working well, is in good condition and have good monitoring later when the time to drive comes. Flynn, it makes sense as you write it, and that also gives a reasoning why not a lot of people are having the same issue. Of course when something is dependant on use the end result will change as the driver changes. Which trans cooler are you using and where is it located on the car? So, after tenth months of waiting since i bought the car, finally work came to an end for the 2017 and i managed to fly back to Greece where i would finally drive the car. Of course the 10 months of waiting weren't enough for the car to be properly ready until i got there (that is just ironic on my part as always the people that tend to work on cars leave everything for the last moment) and of course the only place i wanted to shakedown the car was... at the track. Long story short... I fly back on Friday and on the weekend the car is supposed to do a two day trackday, so i can get in terms with it and see what is lacking of what needs upgrading. The car was so much not ready, that the mechanic finished at 04:20am with mounting the wheels on and at 08:00am we were again at a garage for alignment. and that continued for the first 3 sessions on the track. Fortunately, for the car's sake, it was pouring rain so i never had the opportunity to properly push it or up the boost but that seemed to be ok in my books as it was the first time ever that i was driving an RX-7 and i needed my time with it as well. 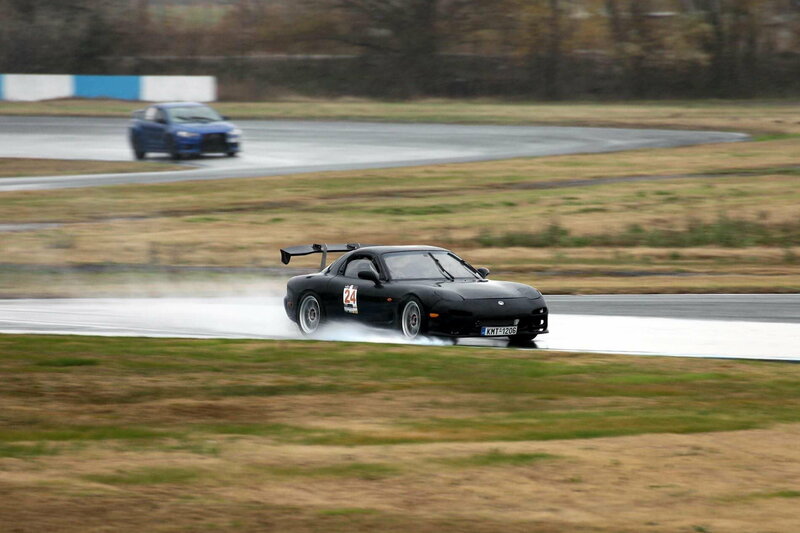 Sunday was looking to be dry so i didn't mind some testing in the rain on Saturday. Temps were good, engine sounded and pulled great, the tune was getting better and better as we run through the sessions and kept altering it a little bit, all in all a great day. At some point i thought, what the hell i feel comfortable enough in it and how it works so i might as well start giving some taxi laps to friends. Well,on the 9th lap and as i exited a corner everything stalled and the car wouldn't start up. 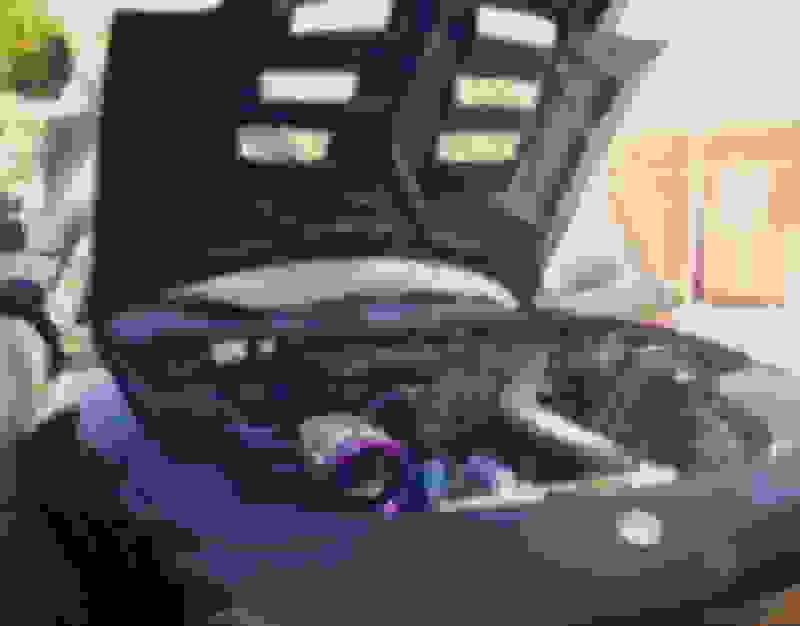 Problem: As the car is stripped and it doesn't have the front fender inner wheel protection, water was being pushed in from the front right wheel every time i run over a certain spot on track, leading to a small leak on the ECU's harness and finally reaching down to connector's of the ECU. Short circuit, end of day 1, end of story. 1) Don't drive it on the wet without having some type of protection from water coming in from the wheels. 2) Make sure all the sealing rubbers are fresh and doing their job correctly. 3) Don't place your stand alone ECU, vertically with the connector's upside on the passenger's feet. To dispose the bitter aftertaste and all the money wasted in the process at least i now know the engine is ok, the car runs great, it drives superb and the handling is something i really am looking forward in experiencing again. A few stills from the rainy Saturday and i also have some video that i will upload at some point later on. 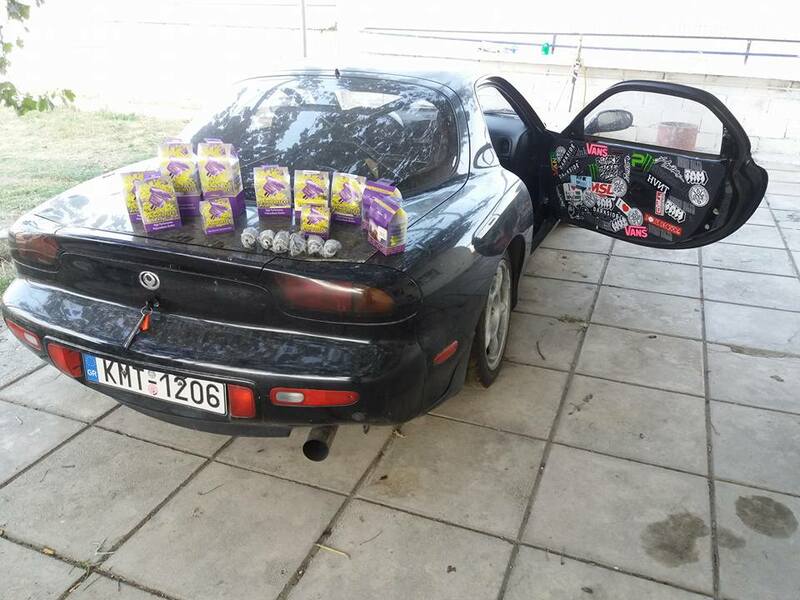 I will keep on posting my updates and experience with the car here for the laugh or sorrow and maybe someone actually benefits from all this. funny to find you here, been a big fan of OLH since I found your Chanel. Came from an MX-5 but now I'm an FD owner too. Looking forward to the updates in this thread to get some inspiration for my build! It's sad to hear, that the water messed up your first driving experience! Funny to find OLH followers here!! Regardless, i will keep this thread alive with as much updates as i can apart from the posts and the videos on the channel itself, as here there is more specific knowledge to be found and shared. Maybe we can even lap the Nurburgring together next year!! Looking forward to this thread and it would be awesome to lap the ring next year! Last edited by diyman25; 12-29-17 at 04:26 AM. Last edited by diyman25; 12-28-17 at 11:01 PM.